This Sunday, June 15 is 'National Lobster Day'… whether you want to celebrate lobster, or just dine on this seafood delight, we’ve compiled a list of where you can find our favorite San Diego lobster dishes. What do diamonds and lobsters have in common? Well, they’re both sensuous, delicate, and unique. 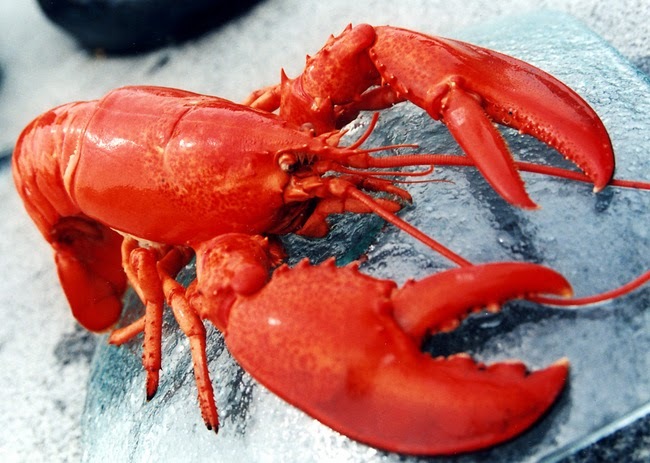 However, diamonds last forever—lobsters, on the other hand, last about five minutes once they’re on your plate. But both are special and more than an everyday delight. You don't have to go down to Baja's lobster village of Puerto Nuevo to get your fix (although it's not a bad idea), this June 15, celebrate the blissful piquancy of lobster at these San Diego eateries. Exploding with flavors which span the globe, Viva Kitchen + Bar boldly infuses the best flavors of Spain, Mexico, Cuba, Peru and Puerto Rico into one friendly Latin-inspired destination. Viva’s new chef, Arnold Vargas Brown features an eclectic fusion of the Latin-based cuisines. 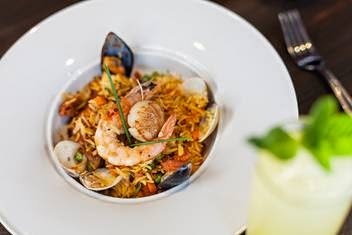 Lobster-lovers, buckle down and fasten your seatbelts, the Paella de Barcelona will transports taste buds to a world of interstellar seafood travel, featuring shrimp, halibut, scallops, mussels, garlic, shallots, saffron risotto topped with, of course, a butter poached lobster tail. Renowned Baja restaurateur Jorge Javier Plascencia envisioned Romesco Mexiterranean Bistro in Bonita as a merger of traditional foods from his youth prepared in a Mediterranean manner. The street-food style evolved into a menu bursting with culinary-cultish delights. It’s gaining momentum, with a large number of emerging fans throughout the San Diego community who’ve experienced a new kind of “food-lispohy.” From delicate micro greens, organic meats, specialty salts and to variety of seafood, the mex-med menu is eclectic. In celebration of National Lobster Day, fusion-sea foodies are guaranteed to fall in love with the Baja California Lobster Ravioli, which features lobster ravioli, lemon-Madeira, crab sauce, pine nuts and pepper. Aside from its award-winning, handcrafted brews, buoyant interior design, jaw-dropping ocean views and beachy-feel—Pacific Beach Alehouse offers some of the most creative food in the area. And for lobster-devotees with a bit of a wild side, the Lobster Mac & Cheese promises to exhilarate rapturous seafood fantasies. For more classically-inclined lobster-lovers, try Crab & Lobster Roll, featuring fresh crab and Maine lobster on Amish White Bread, seasoned with Old Bay and accompanied with aioli and green onion. The combination of its lively neighborhood atmosphere, lavish seating areas, warm service, live music and dazzling ocean views make Prospect Bar + Grill the “needle in a haystack” of progressive Southern California culinary cooking. Enjoy the restaurant’s alluring nightlife and toast to National Lobster Day with Lobster Ravioli. Enjoy the overstuffed lobster and ricotta cheese raviolis, topped with parmesan cheese and diced tomato and cream sauce.